Welcome to season 2 of the podcast! I’m excited to be back at the mic again. I started recording for season 2 back in October, and now it’s finally time to start sharing the episodes. In this season, we’re going to talk a lot about food, from keto–which is a very interesting episode and not something I practice but something many folks had questions about–to living in a food desert to food prep and budgeting tips to getting kids involved in the kitchen and excited about trying new foods. We’re also going to talk about a holistic approach to natural wellness, that goes beyond the food we eat. 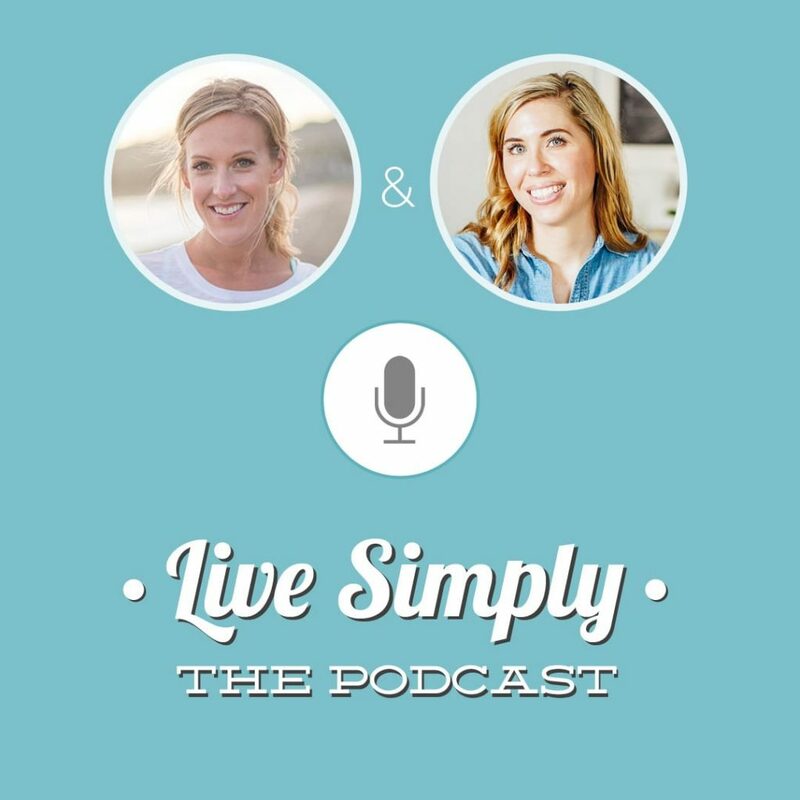 We’re going to dive into the topics of skincare, essential oils, exercise, haircare, and non-toxic cleaning. To kick off season 2, I’m sitting down with Robin from The Balanced Life to talk about exercise. So many of us make goals this time of year, and many times those goals revolve around health and exercise. If you’ve ever felt overwhelmed by the thought of exercise or feel like you don’t have time to exercise, today’s episode is for you! I absolutely love Robin’s balanced, body-positive, mindful approach to exercise. 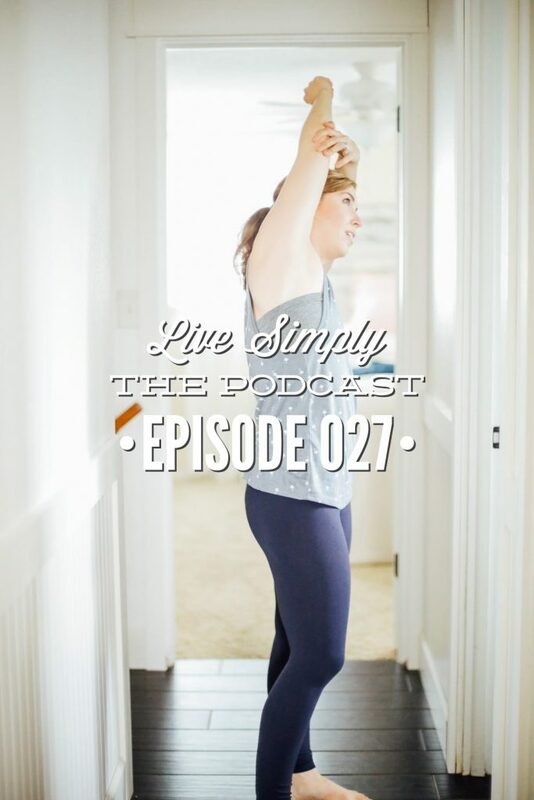 Robin shares about her struggle with body image and how she overcame this struggle, how she discovered pilates, the benefits of pilates, easy ways we can get in a workout session at home (even with kids in the bathtub), what self-care looks like to her, and more. Q2: You openly share about your struggle with body image and your relationship with food and exercise. How did you overcome this struggle? I think many women struggle with this, what advice do you have for someone struggling right now with their body image and food/exercise relationship. Q3: What does a healthy lifestyle look like for your family right now? Q4: How did the Balanced Life come to be? And what is the Balanced Life all about? Q5: How did you discover pilates? What made you fall in love with this form of exercise? Q6: For those listening who aren’t familiar with pilates, can you share more about what exactly pilates is? What makes pilates unique? And the benefits of pilates. Q7: Your mission is to help women transform their relationship with exercise and healthy living by choosing grace over guilt. Tell us more about this. What does choosing ‘grace over guilt’ look like? What does this mean? Q8: Your a mom to four little people and you run a full-time business. I think many of us feel like we just don’t have the time, particularly as moms, to fit exercise into our schedule. How do you prioritize exercise in your life? How do you find time to exercise? And what’s your advice for moms who want to make exercise part of their life, but feel like they don’t have the time. Q9: Can you share some tips for creating an exercise routine? Q10: How do you find a balance between life, exercise, and healthy eating? Particularly as a mom and business owner? Q11: Let’s talk about some exercises women can start doing right now. I think we oftentimes feel like if we’re going to exercise, we need to join a boutique or gym, or go somewhere and sometimes that’s the excuse we use to not move our bodies. You show us so beautifully on your site and through your Sisterhood membership, that you can exercise well at home. Can you share some exercises women can/should do at home? Q12: You’re not just about teaching women pilates, but also how to love their bodies. Can you explain more about this. What do you do if you hate exercise and constantly try but it fizzles out? I have four children and we homeschool–exercise is needed but I have trouble squeezing it in. Help! Hey Joani, Thank you. I’m so glad you’re enjoying the podcast! I loved this one, too. Such a practical episode. I’m so glad it was encouraging for you.